Use our Keytours coupons and deals and find amazing excursions in lovely Greece, in top touristic destinations such as Santorini, Mykonos or Athens. Quality, value and high-standard tours, to make customers feel like being a unique traveler. Special emphasis is given to quality service standards. Key Tours uses luxury air-conditioned coaches with friendly drivers, carefully selected multi-lingual tour guides and a variety of modern or traditional hotels in Athens or the mainland. 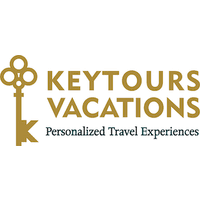 What can you expect from Keytours? It serves annually over 60.000 visitors to Greece, by organizing 20 scheduled excursions and numerous other tours on a private/tailor-made basis. Key Tours distributed its tours via 500 contracted agents and approx. 100 hotel front desks. The company operates 7 days a week, for 16 hours a day and has nine full-time staff. It also operates a modern reservation system that enables its staff to view availability and book while on the phone. It is currently building a state-of-the-art website that would enable agents and individual customers to book tours on a 24hour basis.